Welcome to the Black Label Tattoo Company website. 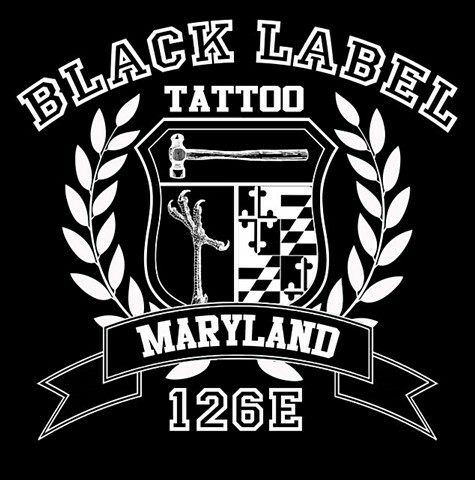 Black Label Tattoo is a collective of individuals committed to bringing our brand of high-caliber tattooing to beautiful, historic, downtown Frederick, Maryland. We work by appointment or walk-in. We open at 12 noon every day. We do not have a Facebook page.